As some of you may know the auction that you've received mass emails about is ending tomorrow. Here is ALL the information you need on SUPPORT STACIE. 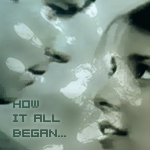 I have signed up to write a 5,000 word Roswell Fic. This is for a great cause and anything you can to to help would be fantastic! What to say, except thank you to everyone who nominated. It means so much to me, especially in this round since it seems my stint in Roswell Fanfic is rolling to a close. I may have another one or two in me after Unbreakable is completed, but don't hold me to that. It's great to know that you've all supported me since I began this little journey of putting myself out there, 4 and a half years ago, it means the world to me. To all who were nominated, congrats on your much deserved recognition. Last edited by Behrsgirl77 on Wed Oct 15, 2008 7:41 pm, edited 1 time in total. Thank you. I'm happy to hear you have enjoyed the stories I've written, and while I feel as the days grow on that my time has come to an end, it does sadden me. But for now, it's the best decision for me. Yes, I tried to clean up this section so that all the links were up and all the stories were posted in order, so that the works were complete. CONGRATULATIONS!! to your award and runner-ups!! Maybe you should take this as a sign that you shouldn't stop writing... Hmmm? Boy Real Life has been tapping me out lately, I'm finally getting back on here! Aww thanks! Congrats to you, so well deserved, you know when I joined this site your fics are some of the first ones I read and fell in love with!! Glad to see you're still in it! Ahh...I don't know I think my time is up...at least for now. Thank you! I haven't updated the front page of this, but any stories listed; Coming Soon - will not be posted. While I have started them, I just don't have the time to finish them which is why I didn't start posting -- I didn't want to leave a story unfinished. I will never say never as to whether I'll finish them, but I have something I am working on and its going to require all my energy to complete it. Just posting a link to the Author Auction story that was won by Nibbles2...she won me in the auction and this is a link to the candy fic. It's going to be short, 4-5 parts posted daily. Hey, everyone, just dropping a note here, yes I know I need to update Unbreakable and I will (soon) but I wanted to make you aware that I have signed up once again for the Support Stacie April Author's Auction over at Majik's World of Fanfic. Offer: One (1) 2,500 word min. story. Special Offer: For the highest bidder, as a bonus I will write (if they so choose) a fic(let) of Twilight (Bella/Edward) to be delivered/posted one week after the completion of the Roswell fic. It will be my first and probably only Twilight fic in any format. Not Your Chick - Thank you so much! I truly appreciate that time you've taken to not only read my fics but to leave me a little note on here. I'm glad you enjoy! New Story Posted...here is the link. Hope you enjoy!